Answer: Regarding the cost to RV fulltime – there is no “one size fits all” answer. We assume you have read our our page on RV costs. We really can’t throw out a number – it really depends on personal preferences about how you want to live. For instance, you know better than we do what you spend on groceries, dining out, medical bills and premiums, auto maintenance/fuel/insurance, life insurance, long term care insurance, barber/hairdresser/etc., clothing, recreational activities (movies, sports, cultural events, etc. ), cell phone, internet access, cable or satellite TV, and so on. A lot of those sort of expenses are apt to stay the same. You would know better than us how to tweak some of those expenses depending on how you plan to live your RV lifestyle vs. how you live today. Depending on what sort of housing situation you are in now, what may change is the housing, home insurance and utility bills. Again, you need to estimate the puts and takes. For instance, when we moved from our townhouse to a motorhome, we no longer had expenses for a mortgage, property tax. association fees and homeowners insurance. Instead we had fulltimers RV insurance, campground fees and membership dues, mail forwarding and fuel expenses. As far as utilites go, the electricity, sewer/trash and water bills were pretty much gone, since they would be included in camping fees in many cases. Our cell phone and internet ended up costing us more because we needed broader coverage, added our parents to our plan. And do not underestimate the cost to maintain the RV – again, this will depend on the type of rig. But it is a hefty item – you have to keep these things in good shape if you want them to last, and you need to budget for unforseen occurrences. Remember too that an RV is a depreciating asset. What we did when we started out is we put together an excel spreadsheet to estimate expenses. We started with our existing budgets and expense records, tweaked them on what we thought would change. Based on the type of rig we planned to have, we did research on what it would cost for insurance, maintenance, fuel. We now use Quicken to keep track of what we are spending. Some big ticket items are medical and insurance expenses, food and RV maintenance. You can control fuel bills by staying put, but assuming you want to go out and see the sights, you will still be running around in a car or truck. Campground expenses can be managed, but that depends on where you choose to stay. We have chosen to buy into campground memberships that give us reduced rate stays. Some of these, like Thousand Trails , save us money in the long run – but it has a few years pay-back period. We can tell you this – most RVers we talk to agree that you don’t go out to be a fulltime RVer because it will cost you less. But it really does depend on how you live. Certainly people can settle in an RV park semi-permanantly with no medical coverage or insurance and go nowhere and live for less than someone with medical coverage, who wants to travel and have some discretionary income. We also know that you probably really want a number – we did too when we were starting out. We now realize that it truly is a personal matter – and we encourage you to actually write down your current and planned expenses and do the math. And if you are serious about selling house and home, then build a cushion into your estimates, so that you don’t get caught by surprise. Another good idea is to read the articles on our fulltiming page, and some RV Books. This reading provides different perspectives and gets you thinking about things that might not otherwise occur to you. 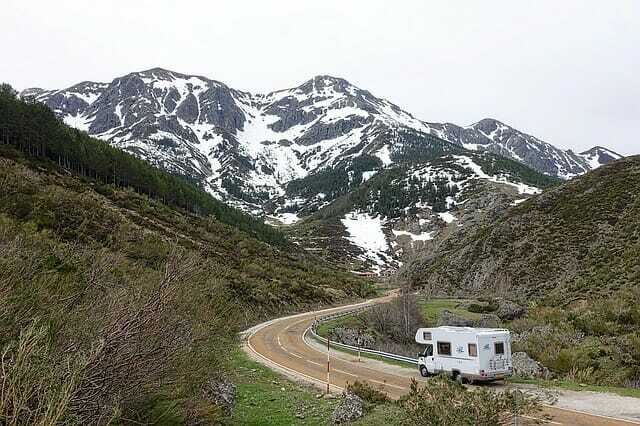 We think it is worth it to join a few RV clubs and try them for a year or two …and then decide. Good Sam and Escapees are good choices for the magazines alone, plus the tips, rallies, support. If you have a motorhome or are thinking of getting one, join FMCA and go to at least one of their conventions. That will get you started. We definitely have started workamping to help make ends meet – something that was always in our plan to do eventually. We started doing part time work in 2007 – after a couple years spent on the road just traveling at our leisure. In summary, our home page provides a sort of checklist of things to consider – the first thing to do is to follow some of our advice there. We do provide an illustrative view of our expenses for several years on our fulltiming page. Enjoy the research…it’s part of the journey.